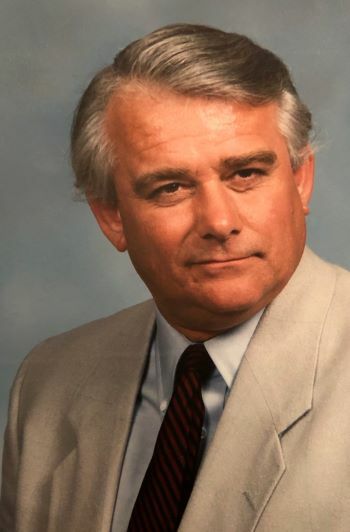 Floyd E. George III, the last reverend of United Methodist Church in Rye, passed away on February 4, 2019 at MorseLife Health Center in West Palm Beach, Fla., where he had lived since 2017, following a stroke. He was 76. Born June 25, 1942 in Norwalk, Conn. to Irene and Rev. Floyd E. George Jr. and Irene George, Skip, as he was known, grew up in Brooklyn, where he attended Erasmus Hall High School. He then attended Union College in Barbourville, Ky. He served an eclectic mix of parishes in urban, rural, and suburban communities in Hartford, Brooklyn, The Bronx, Manhattan, Westport, N.Y., Hampton Bays, N.Y., Crestwood, N.Y., Vails Gate, N.Y., and Rye. In addition, he served as an interim pastor for Plymouth Church in Brooklyn and Wesley Methodist Church in The Bahamas. In each parish he served, Rev. George brought a passion for community engagement and outreach to youth and marginalized people that pushed congregations to open their doors wider and find ways to more fully involve themselves in the life of their community. A gifted church administrator, he was known for being able to cultivate new and active leaders in the congregations he served. Throughout his adult life, he was an outspoken advocate for social and economic justice and racial equality. This work extended beyond the confines of his congregations and took him to places like Nicaragua and Mozambique. And though Skip spent his professional life within the United Methodist Church, he fought for many changes within it, particularly in his advocacy for the recognition of LGBTQ members of the church. Beyond his pastoral work, Mr. George was a board chair of The West Side Campaign Against Hunger, president of the Protestant Foundation at Columbia University, and co-chair of the Fordham-Bedford Housing Development Corporation. As a young adult, he worked at Camp Wapanacki in Hardwick, Vt., the first camp for the visually impaired in the U.S. He also enjoyed a long and happy connection to Camp Dudley in Westport, N.Y., where he preached for several summers in the late ’80s and early ’90s and where his son became a camper, leader, and staff member. Skip George was a devoted father and friend and a legendary cook. Some of the happiest times of his life were around the dinner table where, along with amazing food and wine, he also served up entertaining stories and in-depth conversations. He is survived by his former wife, Ann George, who brought so much comfort to the final years of his life; his brother Philip (Carolyn), son Evan (Diana McGuigan), stepson Christian D’Andrea (Heidi), stepdaughter Bethany Miller (Riley), and grandchildren Jacob Martz, Quinlan and Adelheide D’Andrea, and Alice Miller. A celebration of his life will be held at The Church of St. Paul and St. Andrew in Manhattan on May 11. Donations in his memory may be made to Camp Dudley and Kiniya, 126 Camp Dudley Rd., Westport, NY 12993, or The West Side Campaign Against Hunger, 263 W. 86th St., New York, NY 10024.